Whether your dental needs are a complete exam and cleaning, a full-mouth restoration or anything in between, we promise to provide you with exceptional dental care as we enhance the natural beauty of your smile. Our family and specialized dental services are always provided to you with a gentle touch and stunning results. 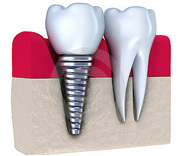 Dental implants are the most natural and secure way for you to get artificial teeth. Using oral surgery, we permanently attach an artificial root (or anchor) and tooth directly into the jaw to provide a long lasting and reliable replacement. 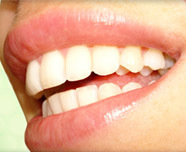 Dr. Lunt has developed a method of straightening teeth without brackets or cumbersome trays. We call it NOVA ortho. In conjunction with A2 Dental Lab, we have developed a procedure for severely broken teeth, saving patient visits and money with a Dilithium silicate crown pressed into a post for a one piece crown-post-core combination. Cleanliness and disease prevention go beyond the wearing of masks, glasses and gloves. Each instrument that we use in treatment is scrubbed, disinfected, and sterilized in a steam sterilizer, then the package is dated for consistency and control. Our steam autoclave is tested every week for complete sterilization by an independent service. We have the most up to date digital x-ray system, saving time and radiation exposure for our patients. We strive hard to reduce unnecessary exposure to radiation by limiting the number and frequency of x-rays. We recommend only what is necessary for your treatment.